These WEA Archaeological resources were developed by WA for the Worker's Educational Association (WEA). In 2016 Wessex Archaeology signed a memorandum of understanding with the Workers’ Educational Association (WEA) setting out our joint aim of building a lasting link between learning and heritage. This partnership was the result of a lot of groundwork (no digging!) done by our Community & Education Officer, working with the WEA’s tutors to develop new ways of encouraging a wider public engagement with our cultural heritage. 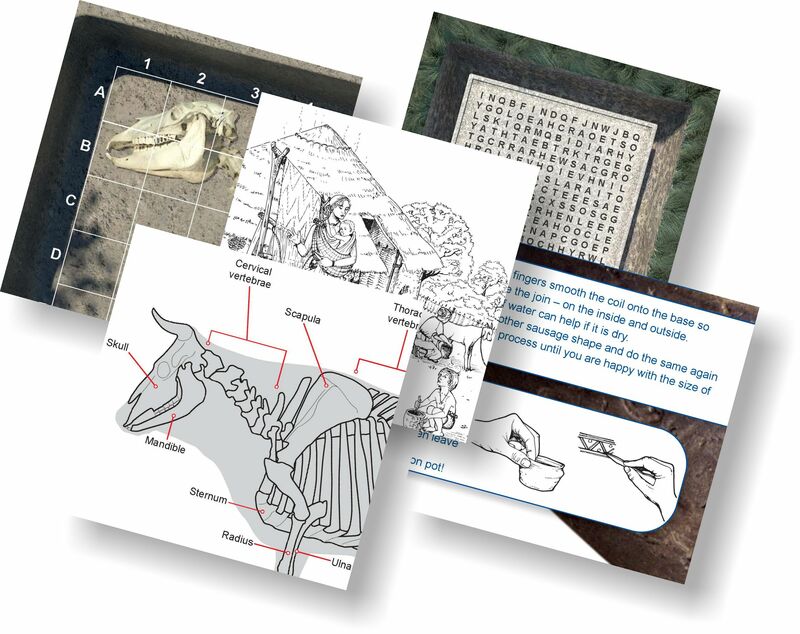 Specific lessons were created using archaeology-themed resources, which offer adult learners the opportunity to develop an appreciation of heritage and archaeology – through maths, english and art. This set of resources has been developed by Wessex Archaeology for the WEA. Key words - Introduces potentially new vocabulary and involves sentence construction. Story of an artefact - The activity involves creative writing and research. Animal Skeletons - “Activities for using animal skeletons” provides ideas for activities. Understanding a matrix - The activity involves ordering of numbers and working with shapes and diagrams. Coordinates - The activity involves map reading and plotting of coordinates. Plot a pot - The activity is based around enlargement using grids. Use the Pony skeleton to demonstrate scaling. There is the sheet Scaling the burial on to your gridded paper which advises how to do scaling and gives a few questions. There is the pony skeleton with a grid over the top Pony Skeleton with grid and a grid with the drawing of the skeleton started Grid for pony skeleton. Activity sheet recreating an AngloSaxon pot - Gives step by step instructions on how to create an Anglo-Saxon pot. Pony Skeleton - Record the burial through accurately drawing it. Animal Skeletons folder - “Activities for using animal skeletons” provides ideas for activities. Colouring sheets - A variety of colouring sheets showing different time periods. Wessex videos - Links to a couple of videos which could be used to generate discussion around archaeology.